1820 Productions: What you need to know about eSports, and why! What you need to know about eSports, and why! 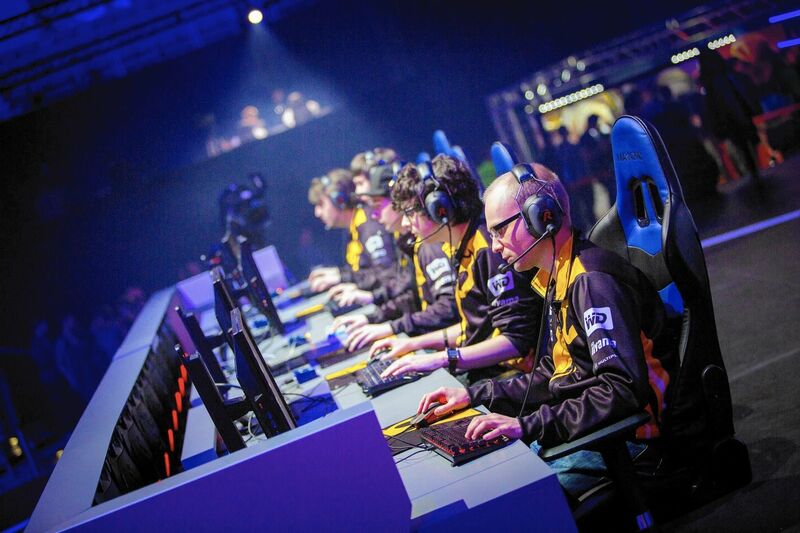 You might be familiar with the name, eSports, the moniker for a community of online gamers. The first thing that may come to mind is a middle-aged gamer in their bedroom, eyes glued to a glowing computer screen with empty pizza boxes littering the floor…but not anymore. This pastime, has quickly turned into a fast paced, money making enterprise. This online gaming craze began in South Korea in the mid-70’s. Known as the international hub for eSports, online gaming is now considered a national pastime. It became so encompassing, especially to the younger generation, that in 2011 they implemented the “Cinderella Law” banning teenagers, 16 years and younger, from playing online games between midnight and 6am. League of Legends, Call of Duty, Dota 2, and StarCraft are only a few of the most popular games. They may be set in a fictional world, but the people involved consider it a full time job. Players from around the world compete on teams, in different positions with varying skills. The teams play against each other in a bracket system. Competitively knocking out opposing teams, claiming titles and moving up the leaderboard. The teams are loved and celebrated by fans with the same acclaim as a 90’s boy band or A-list celeb. Ranging from 18 to 25, these athletes are unlike anything you’ve seen before. Like professional athletes, eSports players have to be extremely mindful of their physical health. Those drafted to national sports league e-teams have the same access to medical doctors and nutritionists as your favorite sports stars. In addition to 60+ hours of team practice each week, the players are required to undergo endurance training, hand/eye coordination practice and cardiovascular exercise. The gaming tournaments not only offer a great exhibition of culture, community and entertainment but include multi-million dollar prize money. Professional sports leagues bring stability to the sport by offering $32,000-$35,000 contracts, in addition to housing, medical care, retirement plans and the opportunity to accept sponsorships. From South Korea, California, Poland and Germany, tournaments are held all over the world. Most players travel under International Athlete Visas, the same visas used by Olympic athletes. The sport itself has been credited as revitalizing struggling cities and small villages. 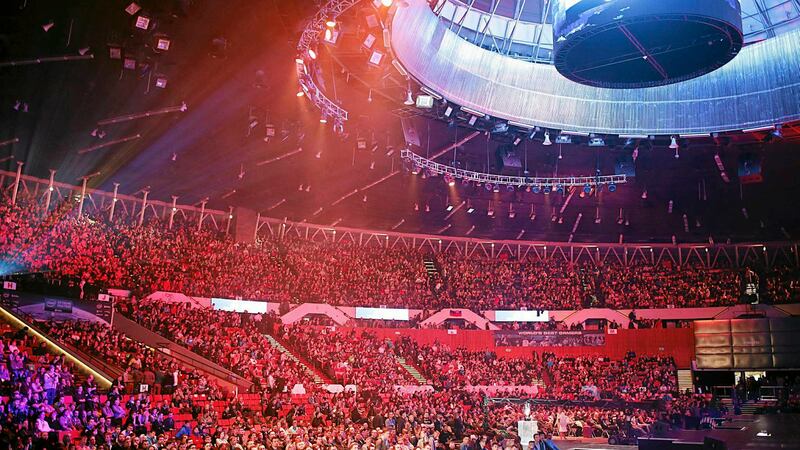 Katowice, Poland, a struggling mining town, has been placed back on the map after hosting Intel Extreme Masters tournament which sold out their 11,500 seat arena. The community itself is providing a variety of jobs within the gaming industry. Just as popular as the players themselves, the title of “Shoutcaster” draws equal amounts of praise. Shoutcasters are game analysts for the eSports world, providing colorful and adrenaline filled commentary to some of the most intense matches. The industry is expected to be worth $1.5 billion by 2020. The committee for the 2024 Paris Olympics have started campaigning for the sport to be included in the games. The League of Legends Mid-Season Invitational Championship drew more viewers than the Super Bowl with 127 million and 103.4 million viewers, respectively. In DFW, eSports has captured the attention of the City of Arlington, currently home to the Dallas Cowboys and Texas Rangers. 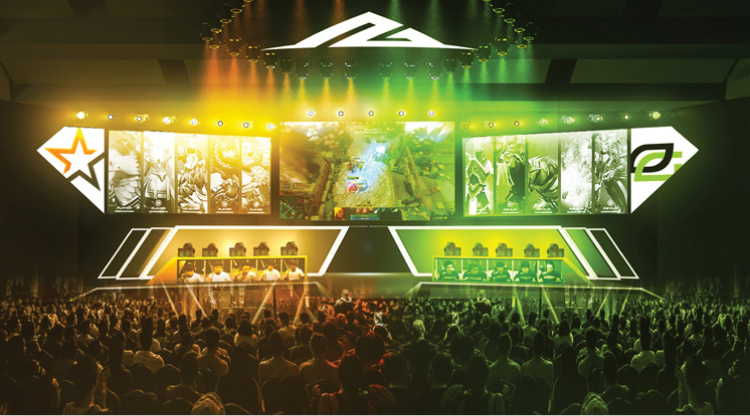 Earlier this year, they announced plans to build the largest eSports Stadium in the country. Meanwhile, the Dallas Mavericks are welcoming the number one draft pick to their NBA 2K league, Artreyo ‘Dimez’ Boyd. After the launch of a state of the art training facility for the NBA 2K league, the Mavs are looking forward to making their mark on eSports. I had the wonderful opportunity to meet Artreyo ‘Dimez’ Boyd at the opening for the new Mavs eSports training center. Considered the ‘LeBron James of NBA 2K’, Boyd has quickly made a name for himself in the industry and hopes to grow with the team behind Mavs Gaming. No matter if you’re still on the fence about the industry or getting ready to swap out your kid’s little league uniform for a gaming computer, eSports is a enterprise not to be ignored. Will you be watching? Let us know on Facebook.